While investors’ interest in bitcoin cools off, Initial Coin Offering (ICO) seems to be thriving with over billions of dollars raised, the highest ever just half-way into the year. In 2014 when ICO began, data collected from icodata.io shows that about $16,032,802 was generated from just 2 t compared to the previous year. The momentum kicked off in 2016 witnessing 29 projects with fund generated reaching $90,250,273. Going into 2017, the new market saw a jump of 3976 percent amounting to $6,101,438,558 which was made possible by 872 startups. The growth trajectory continued in 2018, as half way into the year, startups who have ran an ICO with a total of 887 proposed projects raised fund in the range of $5,770,072,315 with a few from Nigeria. While speaking with CNBC recently, Brian Kelly, founder and CEO of BKCM LLC noted that ICO are becoming the order of the day. According to him, the wave of ICO is becoming like that of bitcoin late last year which saw the coin rally close to $20,000, but might eventually bust its bubble. He however acknowledged that “ICOs are very frothy, not as hot as they use to be”. Initial coin offering is the same as initial public offering, but represents a form of revenue generation through virtual currencies. The funds generated are used to create products and services. 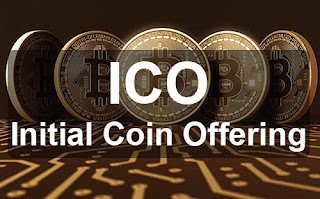 Initial coin offering basically operates in an unregulated market which allows various individual and institutional investors to act as venture capitalist to provide funds for start-ups. The number of ICO coming out every year is alarming given that investors’ funds are largely unprotected by nature of the market. It is recommended that investors be careful when investing in ICOs and perform adequate research. Legitimate ICOs do not guarantee a return on investment. On many occasions individual startups initiate plans for a product but eventually do not provide them/ An example is Fiacoin, which after raising millions of dollars is yet to provide a working project. It should be noted that not all ICO project are flawed as there are some that do carry out projects and have achievements to show for it. Examples are SureRemit of Nigeria and Nexo of Credissimo in Switzerland amongst other credible projects. Deji Soetan of Blockchian Asset management, told BusinessDay that he sees ICO as a good initiative and considers it a good means for firms to raise capital. Last week at Pwc blockchain breakfast meeting it was disclose that about 6 ICOs have already taken place in Nigeria. This is excluding the number of ICOs conducted in the underground economy where millions of dollars have been generated. 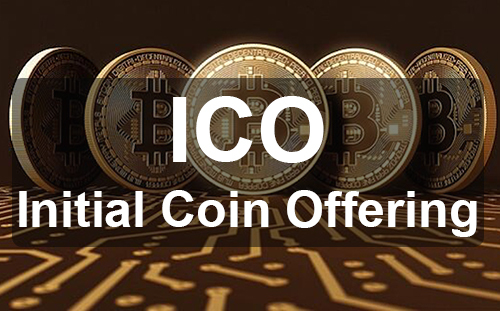 A number of initial coin offering is being done using Ethereum and a partial portion is been done with bitcoin.